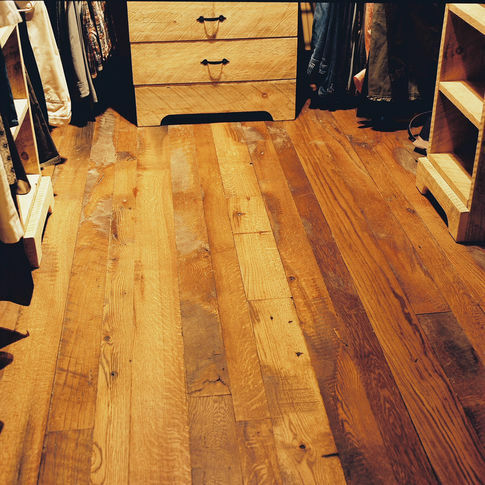 Pulled from the original floors of old textile mills, our reclaimed maple is full of character and rock hard. 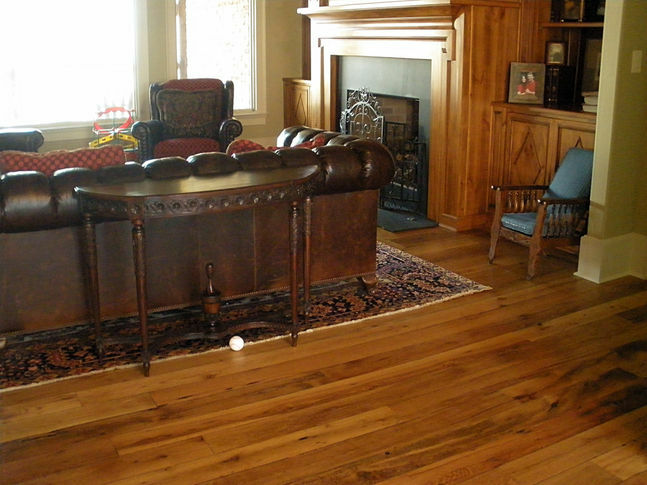 Reclaimed maple is available in the original floor finish with remilled tongue and grooves or resurfaced to expose the natural grain and aged soft brown patina. Original finish maple is available in chocolate or amber choices. Expect surface nail holes and slight height differences. Widths are limited due to the original flooring widths, with 2 1/4 and 3 inch options. Lengths from 1 to 12 feet. Continuous stock available. Wide plank maple from beam stock also available.